We featured ten new artists on our popular Featured Artists section. 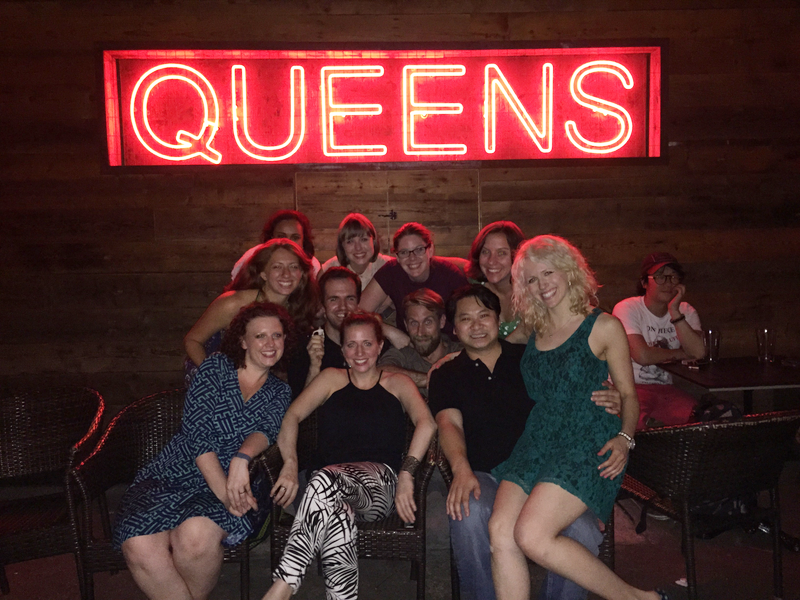 Click here to read up on their reasons for loving Queens and their favorite places to eat and drink. This year we held our first ever fundraiser! The evening was hosted at Sek’end Sun. There was lots of fun and lots of raffle prizes awarded. 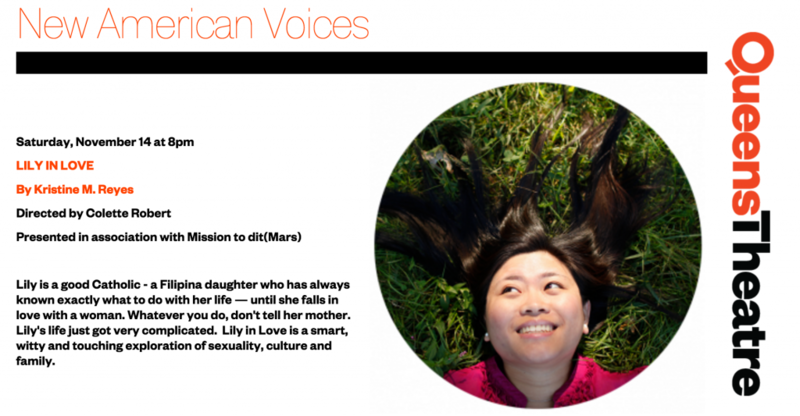 November also kept us busy with a second reading of LILY IN LOVE, hosted by the New American Voices reading series at Queens Theatre. We closed out the year with a holiday party for our Propulsion Lab playwrights! Kristine Reyes shows off her new mug! Co-founder and party host Meredith Packer shows off her beautiful cheese wheel. Mission to (dit)Mars was created by four people who love Queens and it has been sustained throughout the year by all of you. 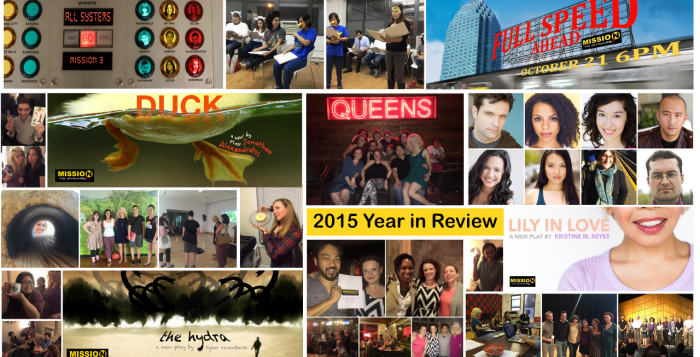 Thank you so much for making 2015 such a productive and artistically rewarding year for us. We couldn’t have done it without you! We’ve managed to accomplish all of this with very little money. If you’d like to support us, click here to find out the best way to do so! 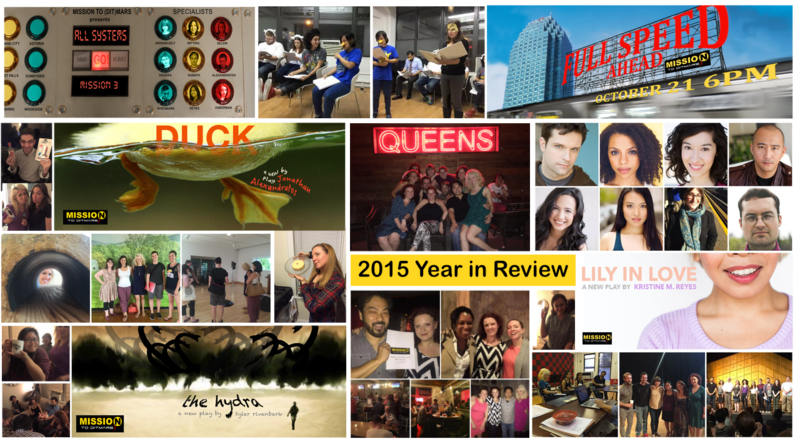 Happy New Year and see you in Queens in 2016!